Available as e-book and hardcover Pelican Publishing Company. It all began in an island of mermaids.....Choon-Ok Jade Harmon was born in the South Korean island of Kojedo in 1956.She was the youngest of seven siblings in a large, destitute family that could not afford food, medical care, or coal for the frigid winters. They expected her to follow in the footsteps of a traditional Korean woman, but Harmon wrote her own destiny. Because of her will to survive and succeed, and despite the opposition from her family and other martial arts masters, Harmon is now the highest ranking woman in the Korean martial art of Kuk Sool Won, with a Ninth Degree Black Belt. The realization that she could only accomplish this dream in the United States---a world where women have options---ignited her fierce determination. Meet this outstanding woman that will inspire you to reach for your wildest dreams. FINALIST IN THE 2017 BOOK PIPELINE COMPETITION. "This memoir had me glued from the first page. The Korean culture, so alien to many readers, was fascinating as it weaved its way through the entire book. For example, during her American wedding ceremony her husband turned to kiss Choon-Ok and the young bride was aghast. In her native land, it was not appropriate to kiss in public. From the many examples of culture clashes to the explanations of daily life in Korea, this book provides an excellent look into the life of a Korean woman, both at home and in the United States. 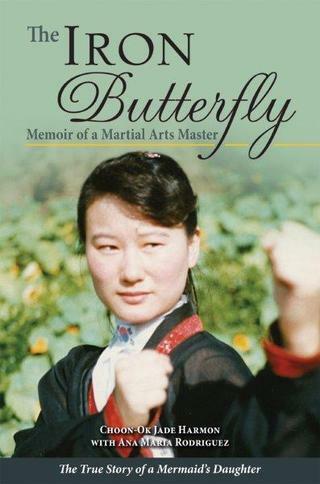 Above all, The Iron Butterfly is the story of one woman's amazing determination. Choon-Ok never considered giving up, she never considered giving up her beloved Kuk Sool. Her amazing will and determination should serve as inspiration to girls and young women today as they struggle to find their way in the world. Quill says: The Iron Butterfly is a fascinating memoir of a woman who never gave up and after many years reaped the rewards of that determination." Book trailer, martial arts demonstrations and more. Check my blog posting behind the scenes comments and articles about the true story of THE IRON BUTTERFLY. Available in GOOGLE PLAY for your e-reader: Nook and Sony, as well as for iPad, iPhone, and your computer. 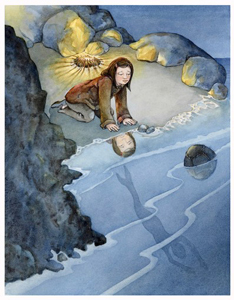 FOR YOUNGER READERS: "THE MERMAID'S DAUGHTER"
Published in the L.A. Times, "Kids' Reading Room", January 2012. Illustration by Carolyn Le. A fictional story for young readers. The mermaid's daughter watches her mother dive and dreads the day when she will have to take her place. Diving has become very dangerous, but they cannot stop. Their family's survival depends on it. What will the mermaid's daughter do? Inspired in "The Iron Butterfly." Check "Books and Reviews" for more information.